Read more in Anne Zimmerman's "Finding your own vinaigrette." 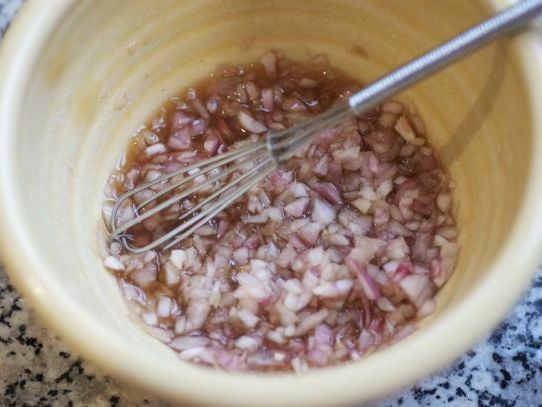 Place the minced shallot and pinch of salt in a small bowl and cover it with the sherry vinegar. Let it sit for at least 30 minutes (this neutralizes the oniony part of the shallot). Add the mustard and, if using, the thyme. Next , whisk in the olive oil until the vinaigrette is the right texture. Taste and adjust, adding more vinegar or salt and pepper if needed. Dress greens and serve.